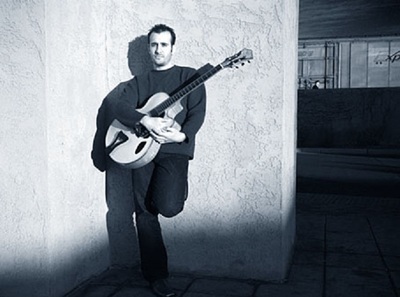 Residing in New York City for 10 years, GREG RUGGIERO has emerged as one of the most sought after jazz guitarists in the city. Ruggiero has stylistically run the gambit in the idiom of jazz music, from complex original compositions to the American songbook and Swing. His love for the jazz tradition has led him to perform and learn from some of the great jazz masters from the 1950’s, 60’s, and 70’s still playing in New York. Currently Ruggiero performs weekly with Duke Ellington drum legend, Steve Little. Greg can be seen nearly every night performing as a sideman or leader around the city. He has performed at many of the top clubs including Birdland, the Jazz Standard, Smalls, and the Jazz Gallery. He has performed with such artists as Bill Crow, Frank Morgan, Greg Osby, Mark Turner, Jane Monhiet, and Luisa Sobral. His music has allowed him to perform in Japan, Spain, Portugal, Italy, and Switzerland. MICHAEL KANAN hails from Boston where he first began to play the piano at age 7. He started improvising at the keyboard early on, and by age 10 he was listening to jazz. His first instructor was pianist Harvey Diamond, a student of jazz innovator Lennie Tristano. During his years at Boston College, Michael had the opportunity to perform with several jazz greats including Tal Farlow, Lee Konitz, Al Cohn, and Alan Dawson. 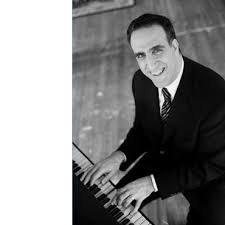 After graduating college and doing some freelance work around Boston, he moved to New York in 1991 to study with another Tristano student, the pianist Sal Mosca. He established himself in New York, playing and recording with Kurt Rosenwinkel, Mark Turner, and Jorge Rossy, among others. He also developed a growing reputation as a vocal accompanist. In 1996, he joined the band of legendary singer Jimmy Scott, touring the US, Europe, and Japan and recording four CDs. 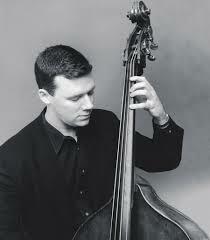 Since the age of 19, NEAL MINER has been a solid fixture on the New York City jazz scene and is a favored bassist to a host of musicians, both rising jazz stars (Larry Goldings, Harry Allen, Russell Malone, Peter Bernstein, David Hazeltine, Dena DeRose, Ann Hampton Callaway, Loston Harris), and jazz legends (James Moody, Frank Wess, David Allyn, Eddie Locke, Etta Jones, Bob Dorough, Warren Vaché). Neal has toured and recorded with Jon Hendricks since 1998, and has been backing Annie Ross steadily since 2005 at her weekly engagement at the Metropolitan Room in New York City. In 2007, Neal joined Jane Monheit’s band with which he has been performing at major festivals, jazz clubs and concert halls around the world.